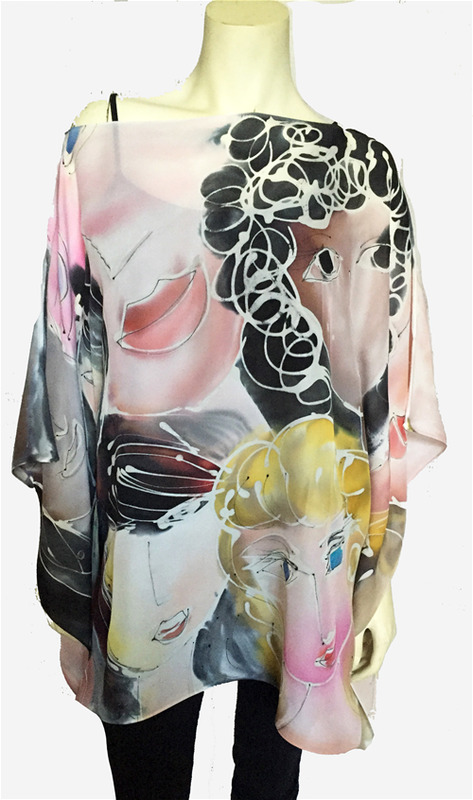 Poshaq Silks creates one of a kind hand painted silk garments. 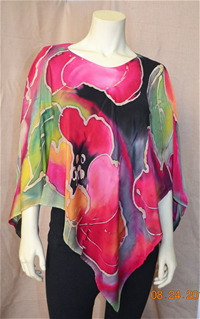 Scarves, poncho blouses, kimono blouses, ruanas, jackets, ties are some of the many products Poshaq Silks offers. 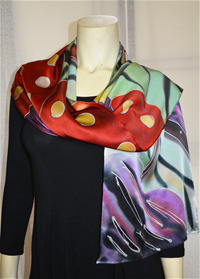 Poshaq Silks sells to catalog companies, museum gift stores, galleries and boutiques around the U.S. and is made in CA. 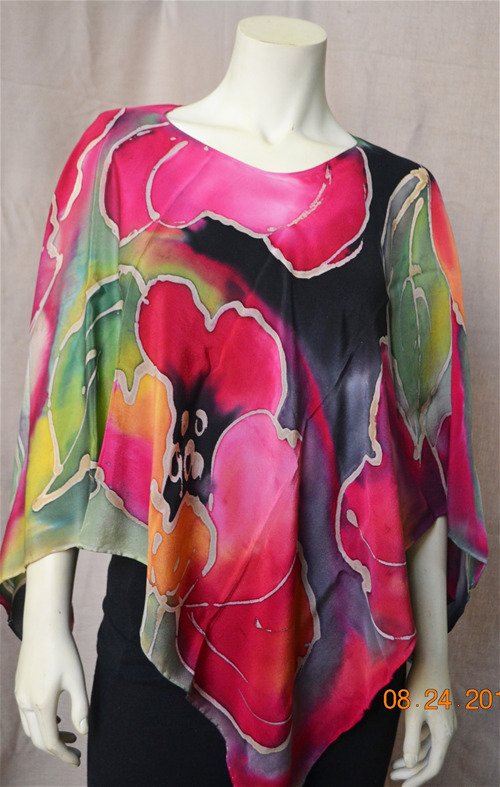 The silk has been painted by silk dyes and gutta resist. Vibrant poppies are the inspiration for this painting on silk. 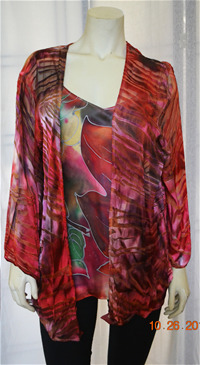 Created with silk dyes and resist it is totally washable. 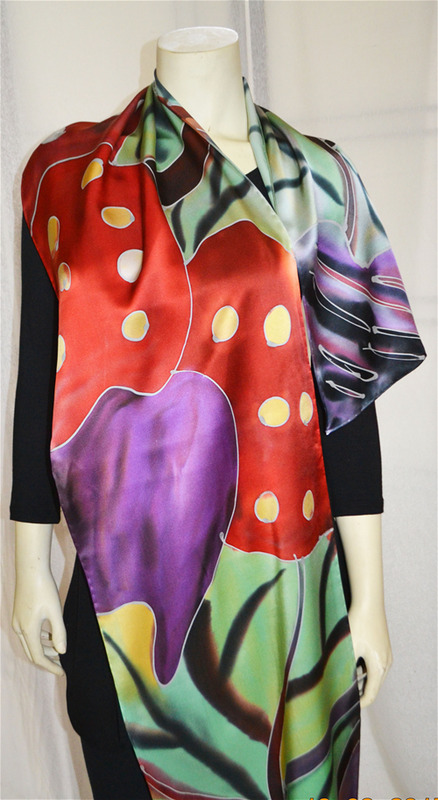 Pierre Bonnard is the inspiration for this scarf. 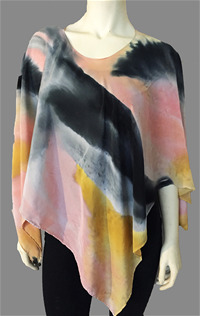 It was made for the De Young Museum gift store. 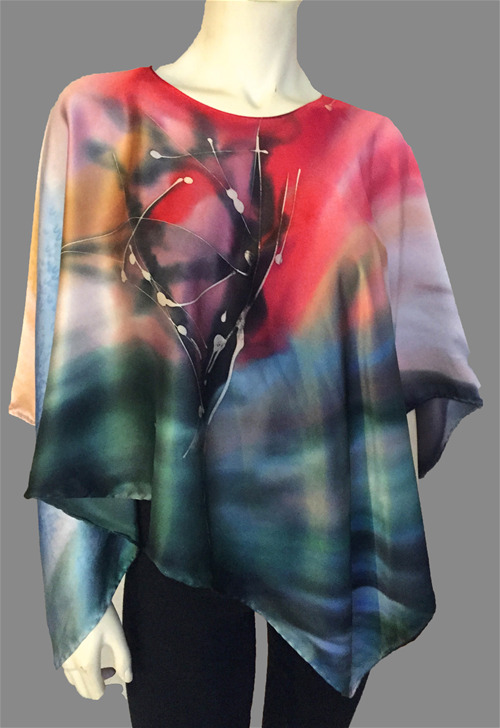 Turner painting was an inspiration for the tie. This tie was part of the De Young Museum gift store.